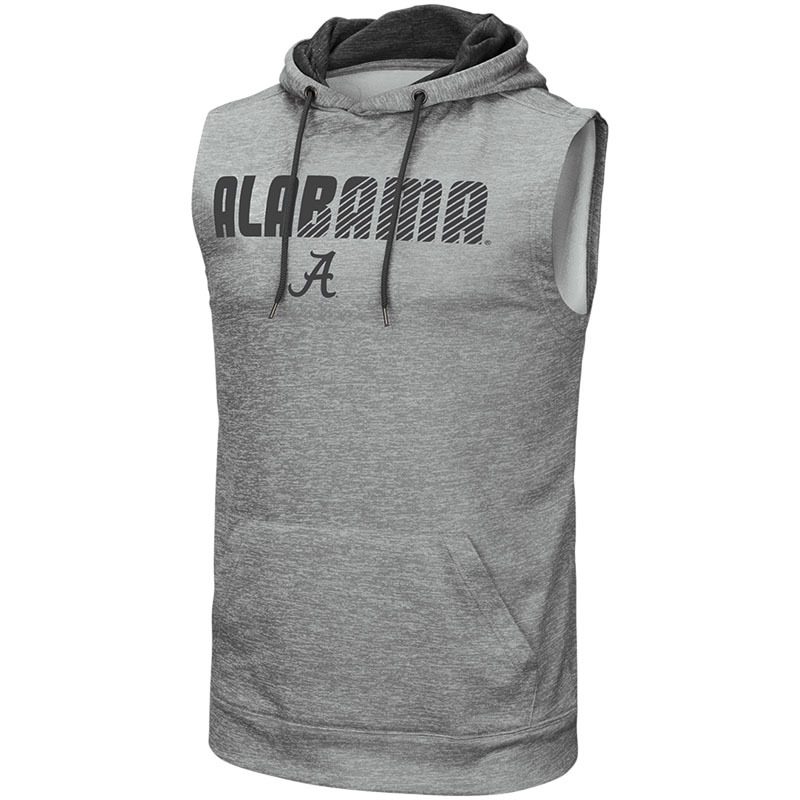 For the guy who likes to go sleeveless, even in cooler weather, the Alabama Script A Banked Sleeveless Hood is THE shirt for you. This 100% Polyester hoodie features Alabama with Script A on front to let everyone know Alabama is your team. The adjustable drawstring hood provides coverage while the front kangaroo pocket offers convenient storage. You can bank on standing out in the crowd when you step out in this unique hoodie!